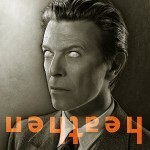 ‘Hours…’ is the twenty-first studio album by British musician David Bowie. It was released 4 October 1999 on Virgin Records. 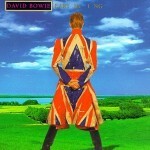 This was Bowie’s final album for the EMI sub-label. It was the first complete album by a major artist available to download over the Internet, preceding the physical release by two weeks. 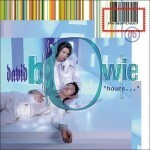 A lot of the material that ended up on ‘Hours…’ was originally used, in alternate versions, for the video game Omikron: The Nomad Soul, which also featured two characters based on Bowie, as well as one on his wife Iman, one on ‘Hours…’ collaborator Reeves Gabrels, and one on bassist Gail Ann Dorsey.